"Some things simply matter more than others," writes Robert L. Millet in his foreword to this landmark book. "Even some doctrines, though interesting and fun to discuss, must take a backseat to more fundamental and foundational doctrines. It is just so with the Atonement of Jesus Christ. The Atonement is the central act of human history, the pivotal point in all time, the doctrine of doctrines." With The Infinite Atonement, Brother Tad R. Callister offers us what may be the most comprehensive, yet understandable, treatment of the Atonement in our day. He thoughtfully probes the infinite scope of this "great and last sacrifice," describing its power and breadth and explaining how it redeems us all. Using the scriptures and the words of the prophets, Brother Callister explores the Savior's divinity and the depth of his love for mankind. He explains the blessings that flow from the Atonement, providing insight into the resurrection, repentance, and the gifts of peace, motivation, freedom, grace, and exaltation. He explains the relationship of justice and mercy and the importance of ordinances. Through discussing the effects of the fall of Adam and our individual sins, he reminds us in a powerful way of the incalculable debt of gratitude we owe Christ for his unparalleled offering. "An attempt to master this doctrine requires an immersion of all our senses, all our feelings, and all our intellect," Brother Callister writes, "Given the opportunity, the Atonement will invade each of the human passions and faculties....The Atonement is not a doctrine that lends itself to some singular approach, like a universal formula. It must be felt, not just 'figured;; internalized, not just analyzed....The Atonement of Jesus Christ is the most supernal, mind-expanding, passionate doctrine this world or universe will ever know." With clarity, testimony, and understanding, The Infinite Atonement teaches us rich and wonderful truths about this "doctrine of doctrines." and elevates our spirits as we contemplate the perfect love of Him who gave all that we might receive all. this is one of the best books i have read on the atonement. it is so easy to read and concise and logic to follow. while i have read much over the years on the atonement. with this book it is all here in one powerful book. Reading this insightful and inspired book was a profound experience for me. When I talked to others who had read this book they expressed their experience almost word for word the same as me. It took all the pieces of gospel understanding I had gathered throughout my life and wove them neatly together as a unified whole around the atonement of Jesus Christ. It moved the atonement from being another aspect of the Gospel to being the core and hub from which all other things derived their place and meaning. Im ordering a new copy as both mine are used by others. I’m grateful for the insight this book provides about our Savior. Also, for the time and effort put into compiling and writing so much about a topic we all wish we understood better. Thank you! The most comprehensive book I’ve ever read about the atonement. If you want to learn more about Jesus Christ and his Atonement, read this book. 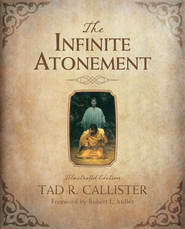 One of the best books about Christ that I have ever read is Tad R. Callister’s The Infinite Atonement. 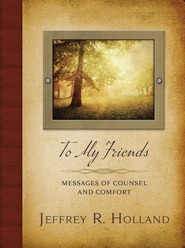 I truly love this book and I recommend it for all followers of Christ. I recommend it because it has given me peace and it has helped me appreciate what Jesus Christ has done for me and for all mankind. This book will definitely help anyone come close to our Savior and Redeemer. Yes, it is a complex book and the vocabulary can be hard to understand for some, including myself. But this book has enlarged my understanding of the Atonement. This book has deepened my appreciation for my beloved Savior and for his endless love. Even though this book may be for the members of the Church of Jesus Christ of Latter-Day Saints, it would be a huge blessing for every believer of Christ to read it. There is no way we can all completely comprehend the Atonement in this life, but this book can unquestionably expand and extend our understanding of the Atonement. This is a book that I will continue to read over and over again in my life because there is still so much that you can learn from reading it again. I dearly love this book. However, some pages are missing in the ebook. THE best book on the Atonement- no others come close. This is simply the best book written on the Atonement-and should be a required reading in every home. Reading this book will change your life. This book brings scripture and prophetic utterances concerning the Atonement together in a way that I had not before considered nor experienced. At the time I was reading this book I wanted to be like Christ more than I have ever before felt. The topics are appropriate in length and coverage. I listened to the audio book and I found myself being excited when a chapter on a particular topic was longer than others. The depth, breadth, and individual relevance of the Atonement are some of the key points that made my mind race. The book certainly created more questions in my mind, but it also answers the questions relevant to my life, my family, my friends and sphere of influence concerning what the Atonement was for and why it matters. Highly recommend this book. I had no issues with the narration. I like to listen on 1.25 or 1.5 speed and had no issues doing that. The narration did not distract from the message, in fact I think it helped it. Nathan Wright did a great job here. The book was so good I didn't mind some of the bugs in the Deseret Bookshelf App. i have never had a book impact me as this book has! it has changed my life, it is the most important book outside the scriptures there is. i am reading it for the second time, and i intend to reread it for the rest of my life. i don't just read a book, i study a book and this book must be studied. we can't just have a simple understanding of the atonement it is much too big too important, it is the very reason Christ came to this earth. we can't know enough about the atonement, we can't be grateful enough. i am 74 years old, and just learned how the atonement is the most important event in all history of all history. i feel like i just woke up and come to realize what the gospel really is. don't go through life as i did blind to what this gospel is really, before you can understand the gospel you have to understand the atonement, that is how we really come to love Jesus Christ. One of the most wonderful books I have ever read. I learned so much about the Savior from this book. I owe him everything. Thank you Elder Callister. I am on Chapter 16 of my individual reading and I can't put it down, I just can't. It makes you cry and feel joy and so many other feelings... it's truly incredible. I'm a speed reader, but this book must be read slow and steady. I've found myself drying the tears of the pages. I foresee reading this book time and time again. My husband is a new member of the church and we're on Chapter 1 together. I know it will make for the most incredible, in depth conversations between us regarding the Atonement. A very special work. I just can't seem to find it in Spanish. I've found it in Italian and Portuguese, but not Spanish. My mother has been trying to get her hands on it and so have I! This book is so deep! It explains the atonement in so many ways and on so many levels that I had never known! I have the hard copy of the book but I also listened to the audio book. If I had to choose between the two I would get the hard copy of the book. There is just so much that you have to read this book over and over again to absorb it all. The audio book was very very well done, but there is something about being able to hold the book in your hands and take notes in a journal and visualize it better. This is a book you could read over and over again! It is a great resource for talks and questions you may have. It is a book that will always stay on my bookshelf! I recommend it for young adults and adults! I loved this book. It is a deep doctrinal dissertation on the Atonement of Jesus Christ. I read it slowly over a few months, just taking it a chapter at a time and highlighting and pondering. It had great questions and queries and was very satisfying and inspiring. I was moved to tears at times as I thought about the words written, and my love for my Savior has grown as I've pondered everything the author wrote about in this great work. I highly recommend this one. I will read over it again and skim my highlighted portions for inspiration in the future. This work is eye opening in the level of depth that has been taken to dive into a subject that we all face throughout life. The very care taken to breakdown a topic that is the heart of our personal work for salvation and for teaching others how to approach the preparation for the life long journey of challenge with the natural man for salvation, this is a must own for your bookshelf. Best book on the Atonement other than the scriptures. An excellent treatise on the Atonement of Jesus Christ. Probably the best book other than the scriptures I have read that explains and discusses the meaning, blessings, and application of the Atonement. I would highly recommend it for new and lifelong members of the Church, as well as anyone who would like to learn more about this central doctrine of the Gospel and central act of history. 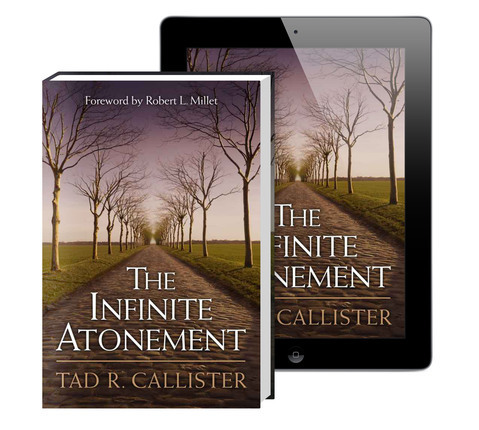 For a subject that can be challenging to tackle at the best of times, The Infinite Atonement is a refreshingly sequential analysis of the more salient aspects of the Atonement. When I talk about the Atonement with people, I usually don't know where to begin. This piece is easy to digest and, for want of a better term, starts at the beginning and stops at the end. The analysis is not only comprehensive, but heartfelt and the author's love for the Saviour is evident. This read will inspire you to build your foundation upon the rock. It inspires, reflection and godly sorrow by its tender analysis without harsh words. I felt prompted by the sincerity of the author's approach. Highly recommended read for anyone searching for a straight-forward yet comprehensive and deep account of the Atonement of Jesus Christ. It will explode your testimony. I, like so many church members had a simple working knowledge of the atonement. I knew that Jesus had died so that we are able to repent of our sins and live again with our Heavenly Father. I am so grateful for this fine book that explains in such great detail how much more there is to the atonement than that simple detail. Since reading this book, I have felt much more inspired to participate in religious discussions and even share my faith with others. It is true that with a deeper understanding of the atonement comes a desire to share the gift with others. I would recommend this book to anyone from the young deacon just beginning religious studies to the most knowledgeable and faithful. This book will teach you or make you think of aspects of the atonement you had never contemplated. The most complete possible on the Atonement! A must have! Here is why. Brother Callister is so thorough that as you really harken to his words, you are filled with hope and a how to apply the Atonement. The book is so all-encompassing that the messages bring such great joy and leave you with a deep desire to be faithful in all things and be a little better each day! I just purchased six copies of this book for my grandchildren.